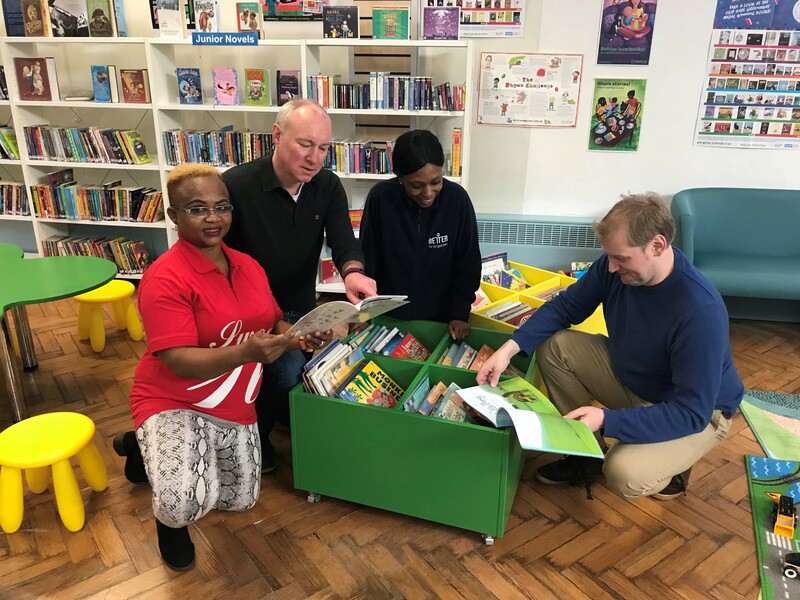 Local community groups have praised Lambeth Labour’s approach to working with them to protect library services in the borough. Libraries are at the heart of our neighbourhoods but across the country, hundreds of libraries have closed. 449 have been shut across the country due to huge government cuts by the Conservatives. Despite these cuts, in Lambeth we’ve kept all 10 of our libraries open and last year issued more items in our libraries than ever before. We’ve done so by protecting our most popular town centre libraries and extending their opening hours, while ensuring we can continue to deliver services in our smaller neighbourhood libraries. Upper Norwood Library -; building now run by Upper Norwood Library Trust and offering a wide range of learning and cultural activities, a coffee shop and a ‘library of things’ alongside the fantastic traditional library. We have now committed a further £117,000 to Upper Norwood to help the Trust build on their great early work. Visitor numbers and book lending have increased. Visit www.uppernorwoodlibraryhub.org for more details. Waterloo Library -; has moved from the rundown Lower Marsh site, to the Oasis Centre at 1 Kennington Road, with longer opening hours and a full stock of books thanks to a partnership with Oasis Charitable Trust. The new library has seen more visitor numbers. The old library site is currently home to a small business hub. Brixton Library -; the popular town centre library is fully maintained, open 56 hours a week. Streatham Library -; expanded and beautifully refurbished in 2014 at a cost of £1.4m, the library maintains a full service open 56 hours a week. West Norwood Library -; the current library is maintaining a full service, as work is completed on the new town centre library in the old Nettlefold Hall which will open later this summer alongside a four-screen cinema. Clapham Library -; brand new town centre library opened in 2012 at the heart of the High Street, along with state-of-the-art meeting rooms and stunning performance space for hire. Tate South Lambeth Library -; fully maintained service opened 40 hours a week with excellent facilities for people with disabilities. Durning Library -; fully maintained service opened 40 hours a week as usual. Minet Library -; open as a Neighbourhood Library for 34 hours a week alongside Lambeth Archives. As well as our work on protecting our libraries, we are committed to investing in the Lambeth Archives service, having made the decision last year to move to a brand new state of the art facility in Kennington to make the Archives more accessible and fit for purpose in the 21st Century.